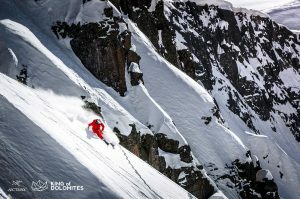 Moena, Feb 11th, 2017 – the tonight prize giving ceremony of the first Arc’teryx King of Dolomites QS and the KOD party ended up with Andrea Costa as King of Moena! 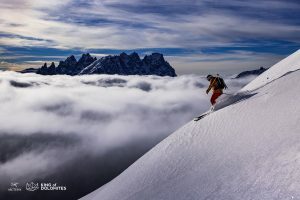 The success of the event of Moena, confirmed after the cancellation in extremis of the Grand Finale of San Martino di Castrozza (which should have taken place from 16th to 19th February), lifted the mood of the organizers, who this week had to take the hard decision to cancel the main stage of the contest, which should have involved both the OPEN and PRO categories in the challenge for the best freeride shot of the Dolomites. 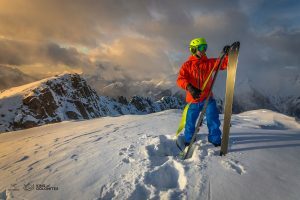 The crown of the King of Moena goes to Andrea Costa, the first one in the history of the famous Freeride photocontest on the Dolomites, who has been crowned this Saturday night at the KOD Party at Bar Mancin in Moena. Andrea wins an Arc’teryx Freeride Outfit powered by Livio Sport and the wildcard to compete in the Grand Finale of King of Dolomites 2018 in the Pro Category with his two riders Tommaso Cardelli and Cristian Dallapozza. 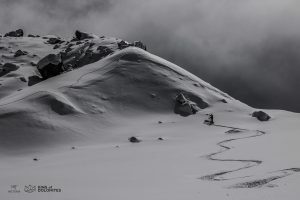 In a hard winter very poor of snow, the 2017 formula of King of Dolomites did not disappointed the expectations: the success of the Qualifying Stage of Moena confirmed the achievement of a Winter event among the most important ones on the Dolomites. 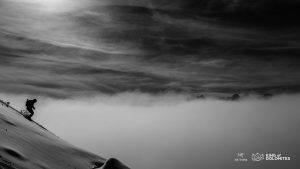 Great satisfactions also for the organising committee which had to cancel the Grand Finale of the contest of San Martino di Castrozza for safety reasons, because of the bad snow conditions. 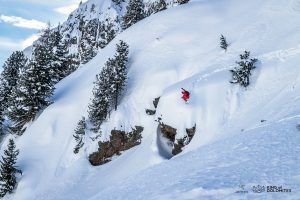 The brand new formula of the Qualifying Stage saw the riders of the OPEN category seeking for the best freeride shot on the Dolomites through creative pics taken this winter and the last winter seasons in the area between Alpe Lusia and Passo San Pellegrino, and involved this year a sharing of the pictures on the Instagram profile of the participants as a condition to access to this stage of the contest, which lasted from January 1st to February 10th, 2017. Waiting for the decision of the Jury composed of the local photographer Federico Modica, and the freeriders Stefano Martinello and Joi Hoffmann, the contest participants and the spectators had the possibility to visit in Moena the en plein air exhibition with 14 pictures on canvas from the past King of Dolomites editions of the contest, and to vote their favourite one. 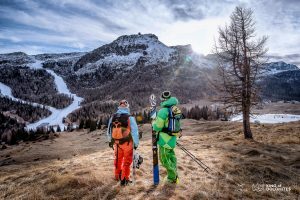 Good success also for the Safety Camps for kids and adults organised by the Alpine Guides of Moena, which took place respectively on Alpe Lusia and Passo San Pellegrino today. The KOD Talks round table with the organising commitee and the Jury moderated by Virna Pierobon took place in front of a crowded square, curios to learn more about the King of Dolomites and the whole contest. 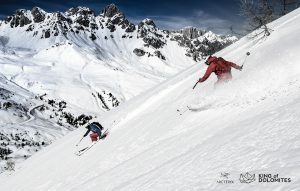 A sincere thanks to the organising committee and the volunteers who made the event possible, the main Sponsor Arc’teryx for the costant support, and the event partners Elan, Alpina Skis, Elle Erra, FORST, Moena Perla Alpina, Ski Area Alpe Lusia – San Pellegrino, Val di Fassa, Scuola italiana di Sci Moena Dolomiti, Bar Mancin Moena, e Livio Sport. 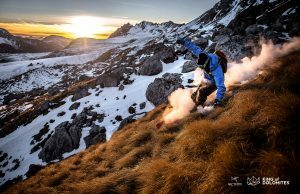 See you next next year on the Dolomites, with a big new edition of the contest, hopefully a lot of powder and big news!